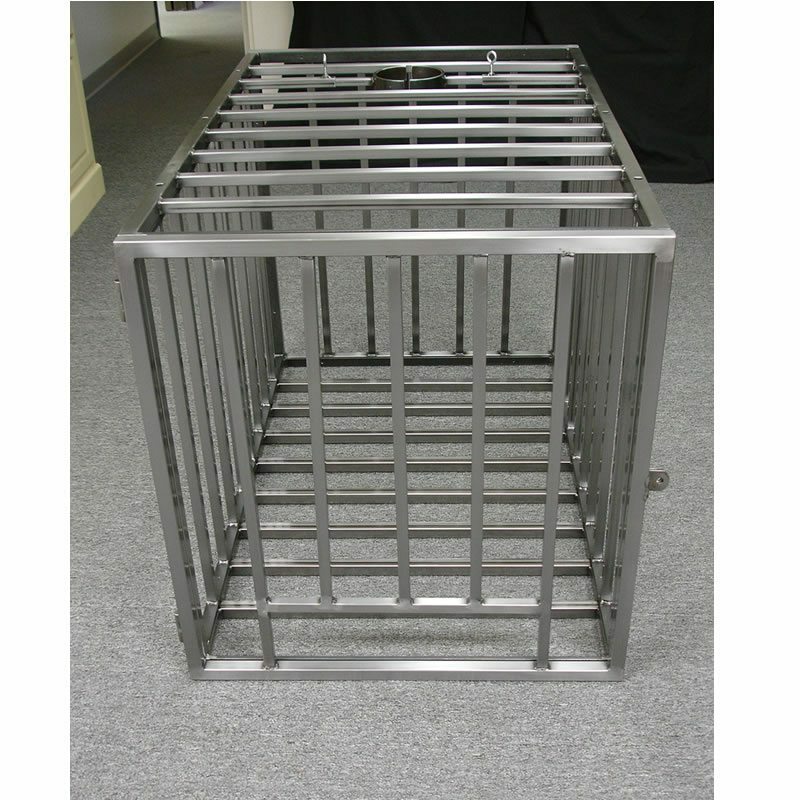 The Stand-Up Cage is the ultimate dungeon accessory. This security cage is perfect for keeping a human captive exactly where you want. 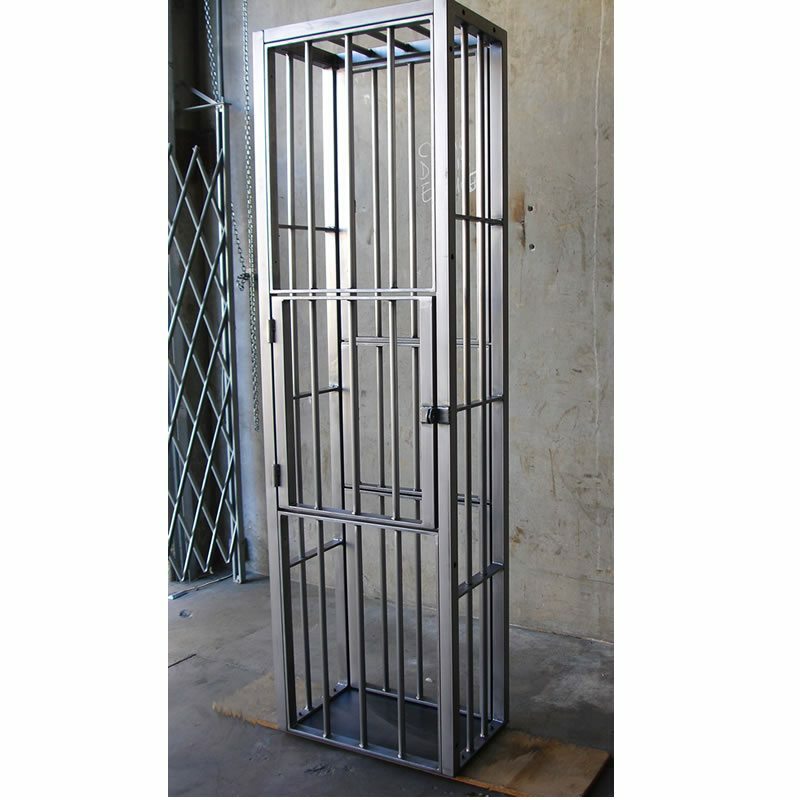 You can stash your prisoner, slave, or submissive in this very attractive steel cage and won’t need to worry about them escaping. 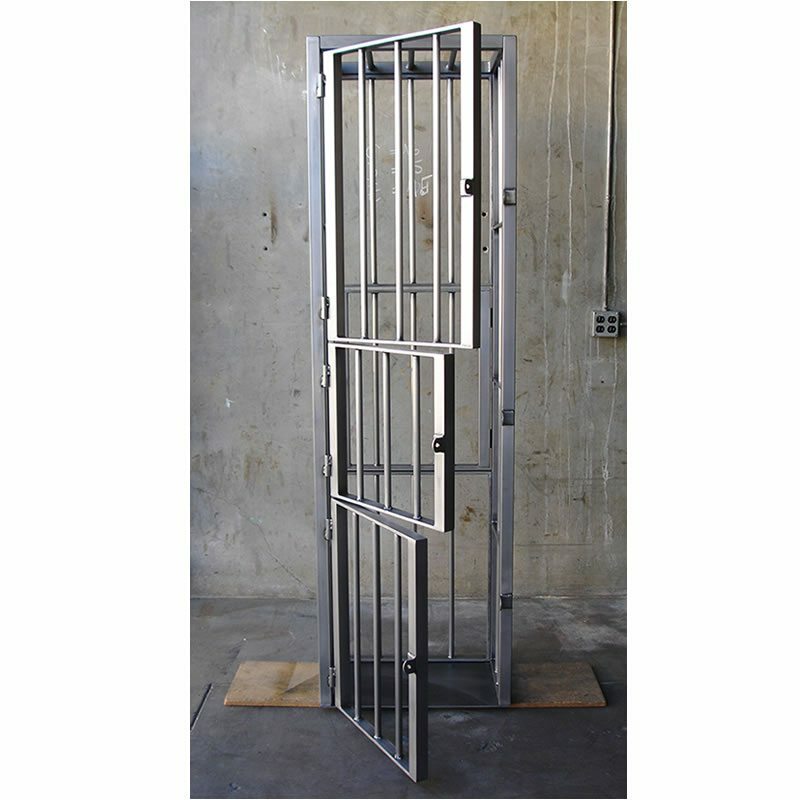 This strong and secure cell locks in three different places plus 1 rear door on the back to provide maximum confinement. The three doors open individually and independently of one another and lock securely with 3 separate padlocks (locks not included). This cage also features one rear door in the back. Access to the separate sections inside the cage is granted by opening one door while other doors remain closed and locked. You can play with your prisoner while some doors are open and others closed.